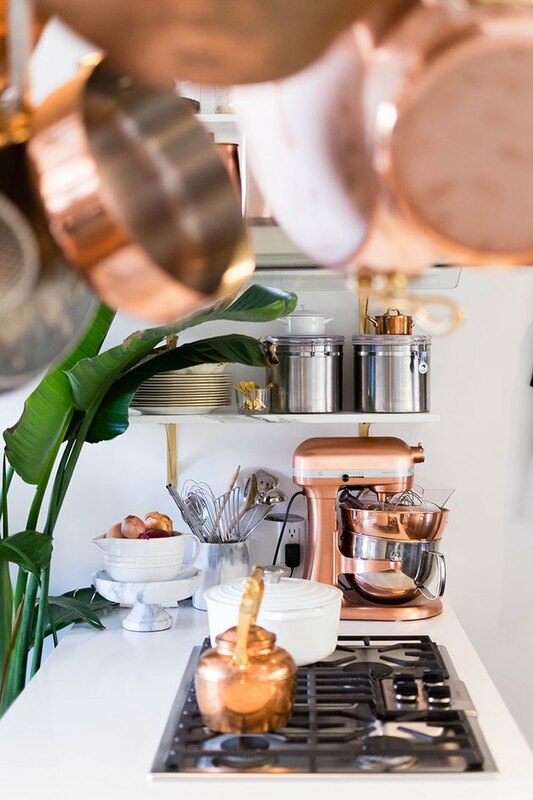 Introducing copper into your kitchen doesn't require you to cover all of your walls in metallic tile or swap out your countertops for a more patinaed variety. Appliances on the other hand (both big and small) are the perfect opportunity for a trendy upgrade: They add just enough metallic glam without overloading the senses. 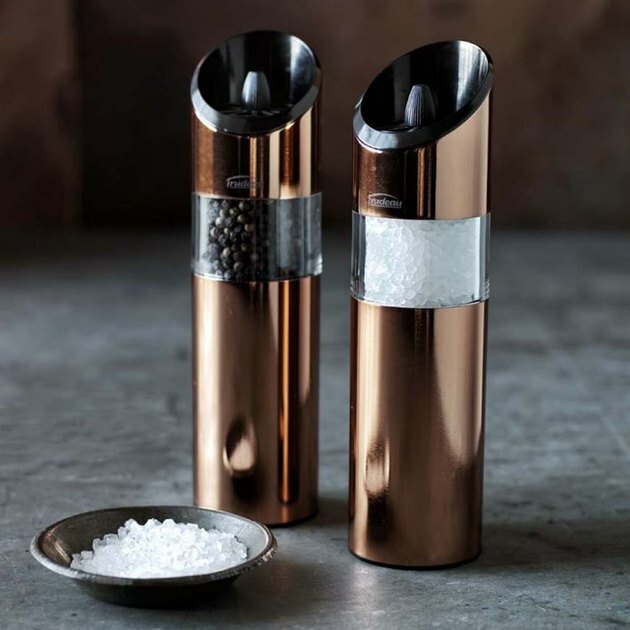 Check out these nine copper kitchen appliances that add contemporary appeal — and turn dinner prep into a swoon-worthy affair. 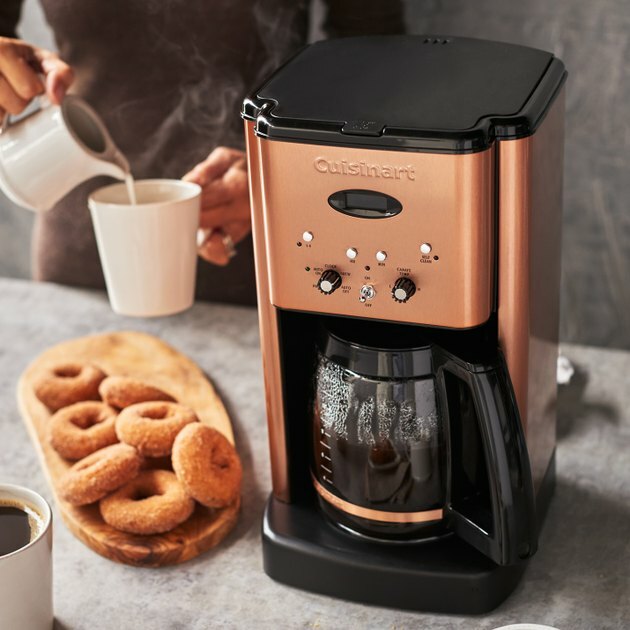 Brew your morning cup of joe in style with this programmable 12-cup coffee maker. 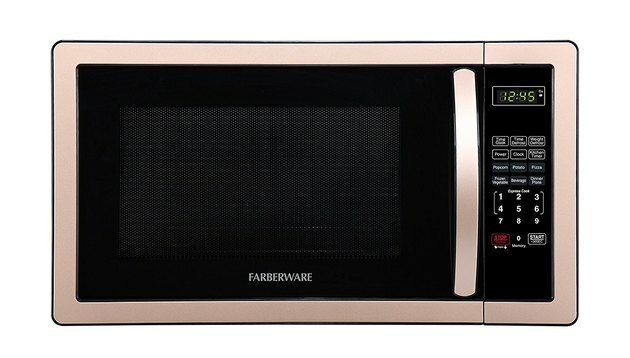 The sleek copper casing will match beautifully with your kitchen's new rosy-hued metallic theme. This small copper-plated appliance means business. 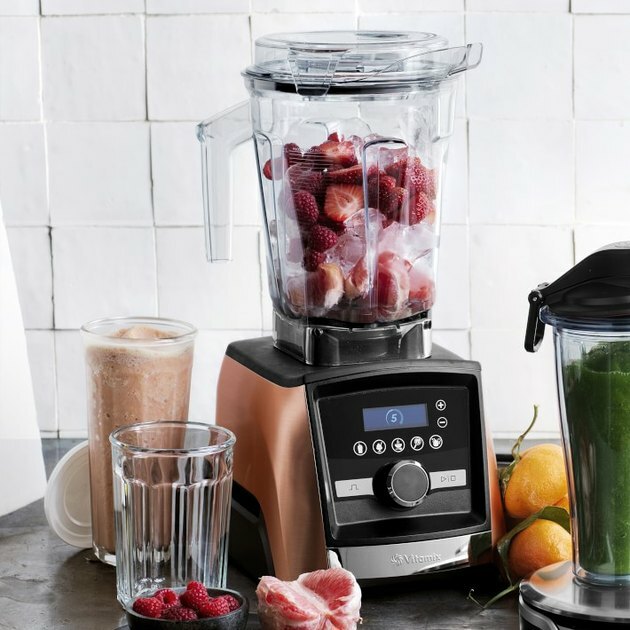 With a built-in programmable timer, your post-workout smoothie will be blended to perfection. 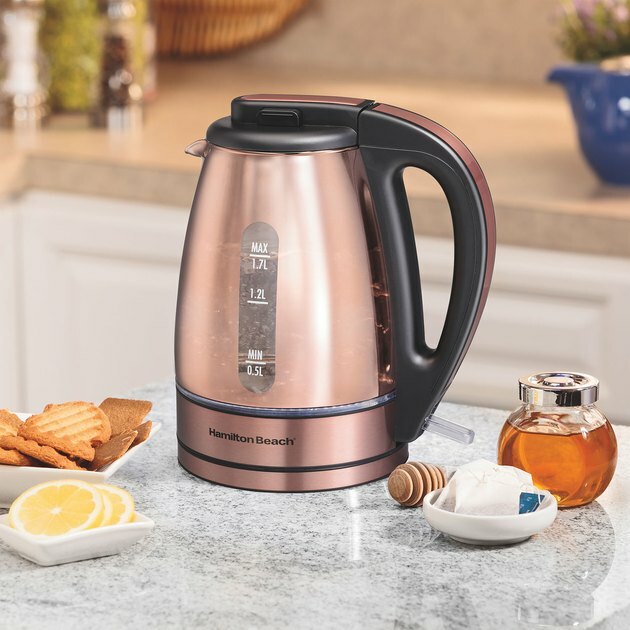 Copper kettles are a time-honored tradition, but this time-saving electric version will add a little extra pizzazz to your teatime. But don't be fooled by its glitz and glam: This good-looking kettle still gets the job done with a rapid-boil system that heats water in mere minutes. 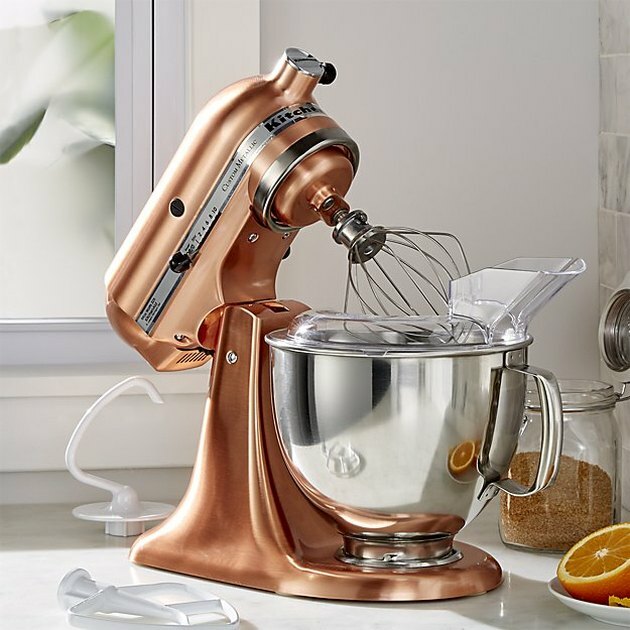 A kitchen classic, this heavy-duty stand mixer is a culinary must-have. Not to mention the lustrous copper finish will elevate your already stunning kitchen design. 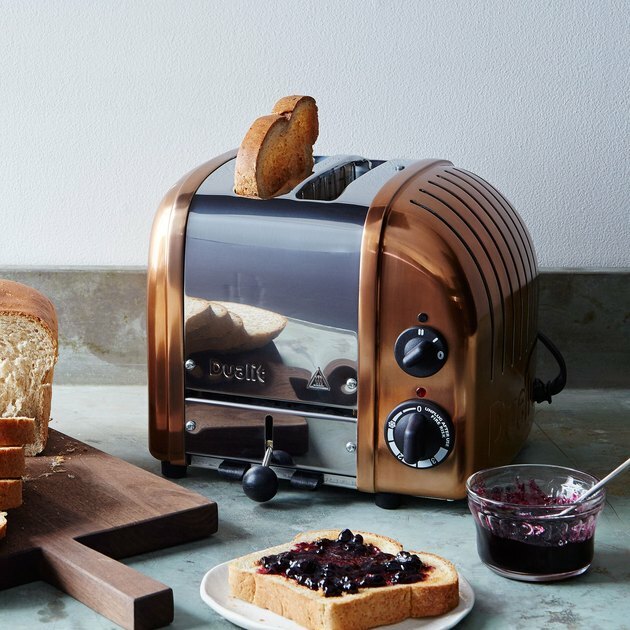 Add a retro sensibility to your home's most-used space with this two- or four-slice toaster. The side vents resemble a vintage radio — but the mixed-metal effect is thoroughly modern. These electric salt and pepper mills are the essential kitchen appliance. Add these copper numbers to your kitchen or dining room to spice things up in more ways than one. Lemons, and oranges, and grapefruit ... oh my! 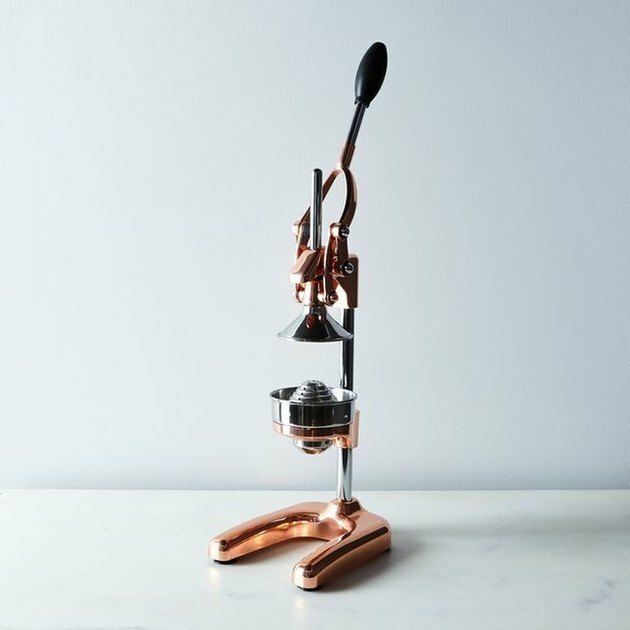 Whether you're looking to infuse some citrus flavor into your home-cooked meals or just enjoy a fresh-pressed glass of OJ, this mesmerizing countertop gem is a stunning solution — there's no match for the force of this copper press. Your microwave should be more than just a dull, boring appliance hanging out on your countertop. Upgrade this kitchen basic to a copper-rimmed beauty. 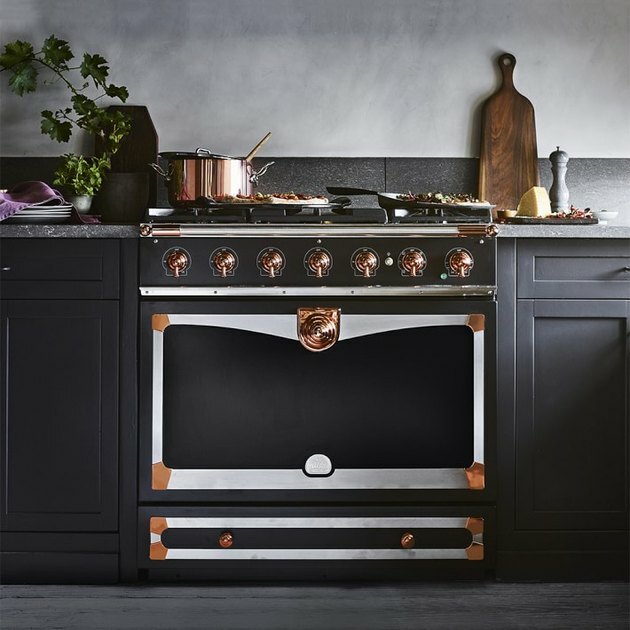 Copper accents were combined with matte black to create this showstopping stove named after the French company's founder and his wife. This one-of-a-kind statement cooktop will easily transform your country kitchen into a culinary space that is très chic.